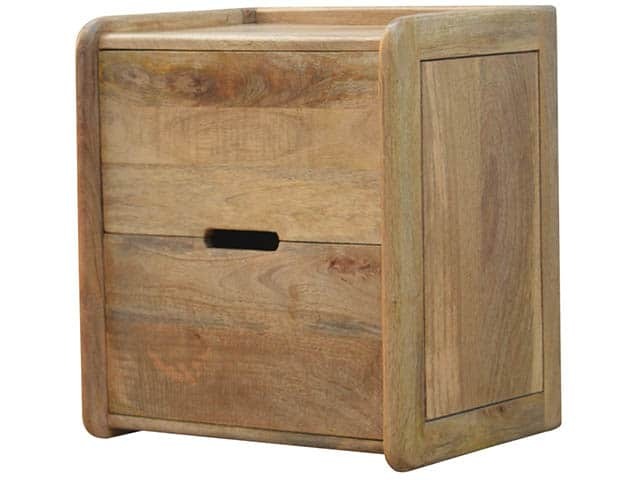 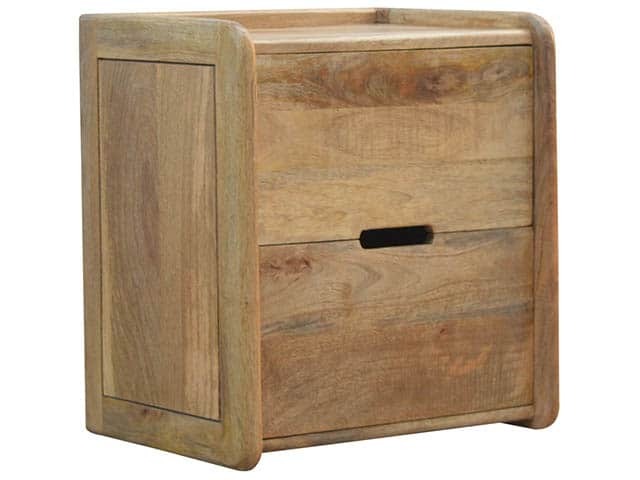 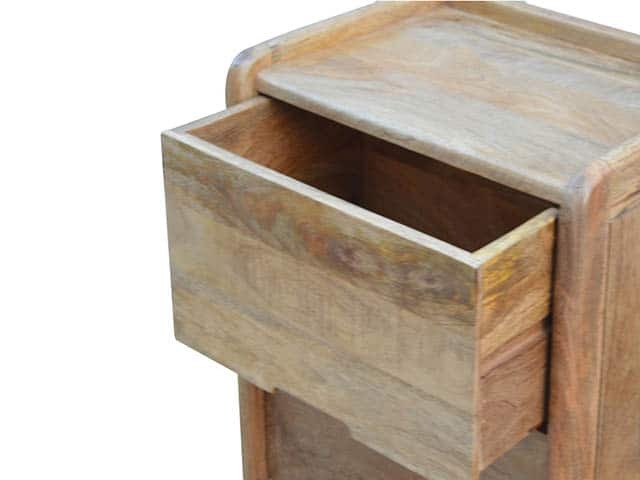 Classic Gallery Back Bedside Table constructed from 100% solid mango wood. 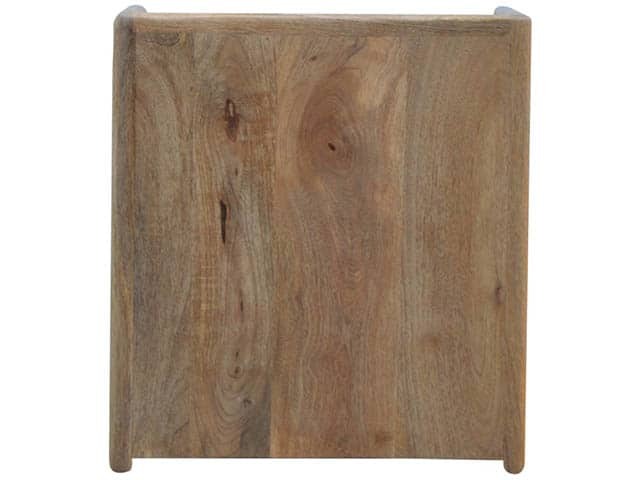 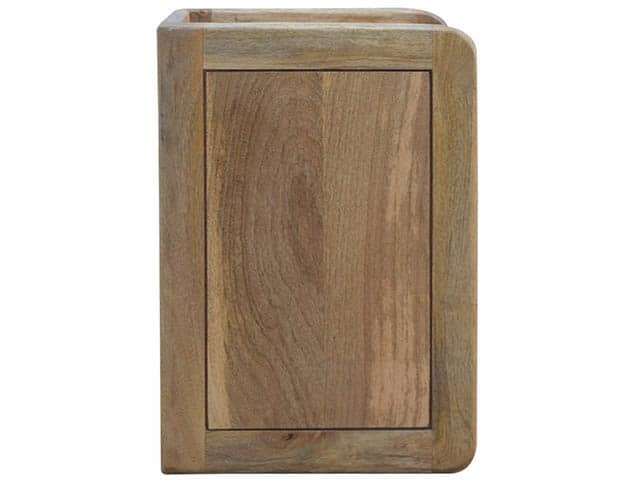 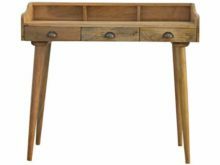 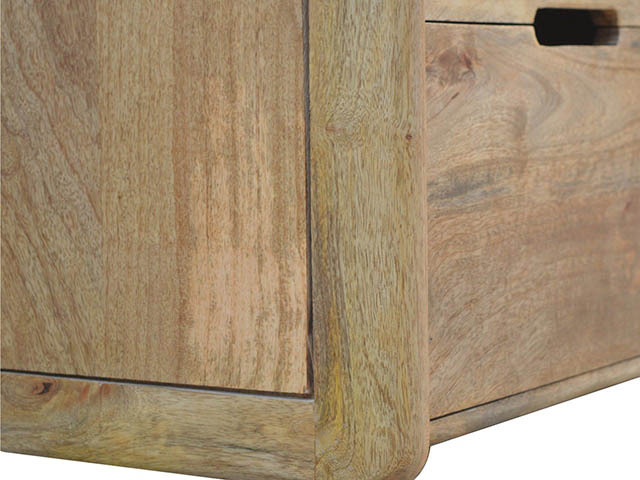 An oak-like finish treated with a coat of lacquer making it highly durable. 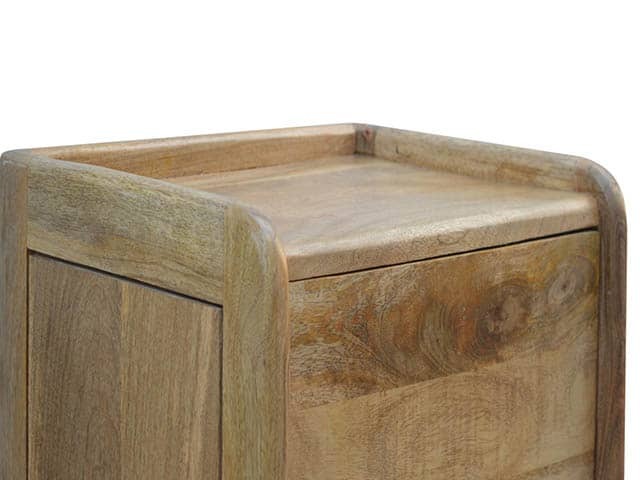 It also features a cut out handle enabling a easy opening of the 2 drawers. 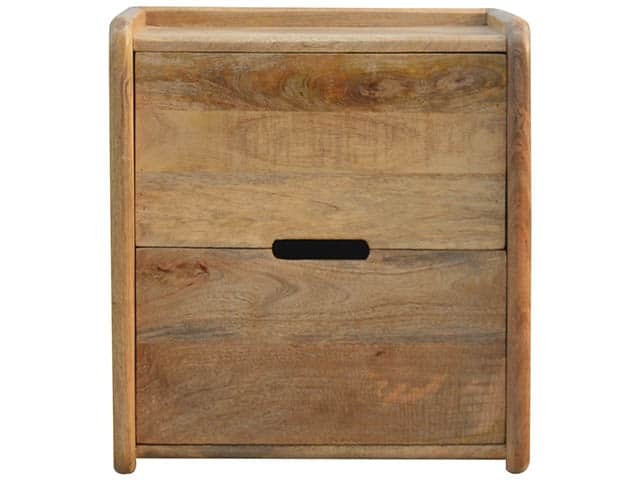 The open slot design on this Gallery Back Bedside Table creates a clean and contemporary finish.